Temporary Handicap Parking Permit application forms can be obtained from the Records Section of the Police Division. Requesting individuals must complete the application and have their doctor complete the appropriate portion. 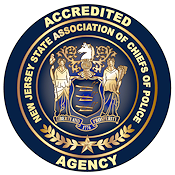 Completed application forms should be returned to the Police Division’s Records Section along with a check or money order in the amount of $4.00 payable to: NJ Motor Vehicle Commission. CASH WILL NOT BE ACCEPTED. Applicants complying with the above-referenced steps will receive a temporary placard the same day. Temporary Handicap placards are good for a period of six (6) months from the date-of-issue. They may be renewed for an additional six (6) months but only one (1) time. Permanent Handicap Placards are provided by the NJ Motor Vehicle Commission ONLY. Forms for such a request must be obtained from the Motor Vehicle Commission directly.